As a lover of crime fiction and mysteries, it pains me to admit that I've never read a novel by acclaimed author Michael Connelly. My book blogging buddies have done their part to recommend his books, and I've enjoyed the Harry Bosch series from Amazon. Still, I've been hesitant to pick up one of his books. Starting an established series can be a daunting task, especially when I have so many other novels to read and review. This fall, however, the stars finally seemed to align. When his publisher offered me a copy of his latest novel, the start of a brand new character and series, I couldn't say no. Renee Ballard is a veteran of the LAPD who spends her evenings working the Late Show. She hasn't always worked this overnight shift, but a sexual harassment complaint against another officer didn't quite go as planned. She's a woman in a male dominated profession working a shift that sees her hand off each case to her daytime colleagues. Ballard has mostly comes to terms with her new found work life. She dutifully files her reports each morning before finding some rest at home with her dog. In a rare break from the monotony of her usual evenings, Ballard is hit with a double-whammy of crimes that she can't let go. The first involves the brutal beating of a transgender prostitute. The second is a shootout at a nightclub that left several people dead. Her superiors grant her the authority to investigate the the assault case, but are strangely secretive about the shootout. Rachel works well into the daytime hours on little sleep to get to the bottom of this horrific case. But how close can she get to the suspect without putting herself and her career at risk? After reading The Late Show, I can now see why Michael Connelly's books are so highly regarded. He writes with a bare-bones urgency that keeps the pages turning and the suspense tightly wound. It did take me a while to start rooting for Ballard. Connelly's focus on advancing the plot made Ballard's development as a character take a back burner at first. As the novel and plot progress, we learn more about Ballard. By the climax of the novel, I felt like I was right there with her discovering all the shocking secrets and twists. Count me in as a fan of Michael Connelly who can't wait to see what he comes up with next! 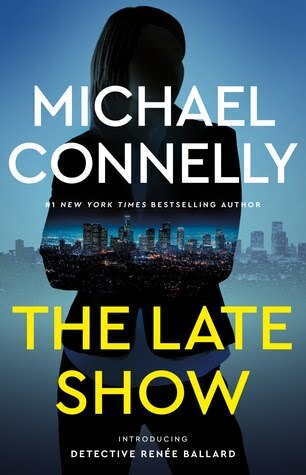 This entry was posted on Tuesday, October 3, 2017 and is filed under Book Review,Crime,Fiction,LAPD,Michael Connelly,Mystery,The Late Show. You can follow any responses to this entry through the RSS 2.0. You can leave a response. I think I would like this. I love these types of crime thrillers, featuring characters like Renee. Great review! Its really great to see a new female lead! I have heard a lot about his books but I actually haven't ever read one either. I am glad that now you finally got around to reading one, that you could see how wonderful they are! You'll have to take a read next!